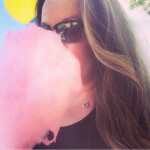 Dessert is a gift and if anything it should be cherished. Well, that’s what we think anyway. 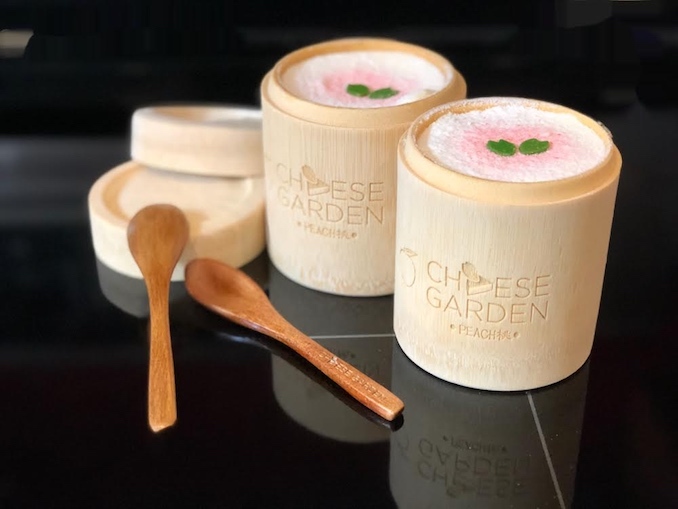 So, when we received a precious delivery from the Japanese dessert shop, Cheese Garden, of two beautifully presented desserts we had to admire and compose ourselves before digging in! Inside the well crafted bamboo containers held the much anticipated arrival of their White Peach Tiramisu. 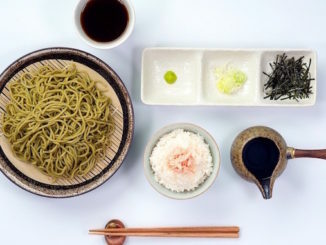 The white peaches themselves have been shipped with tender loving care directly from Okayama, Japan for this recipe — a cherished seasonal fruit that is delicate at first bite with flavours coming through as you savour the soft texture. Layered with handmade Hokkaido chiffon cake, a light and airy peach oolong custard, and then a white peach flavour cheese filling with more morsels of peaches, it is as good as it looks. What’s the story behind Okayama peaches? They are known in the Japanese folk tale of “Momotarou” aka the story of the Son of a Peach. They are also known for the ideal environment in which they are grown as well as the care in nurturing and harvesting them. Okayama is home to several varieties of peaches but the Shimizu White Peach is the most famous variety praised for it’s sweet fragrance and soft texture. It’s also a popular fruit to be gifted but it’s in season only from late July until mid-August. It’s often said that once you’ve tasted this peach you will never forget it. Presentation is as important as taste and quality. 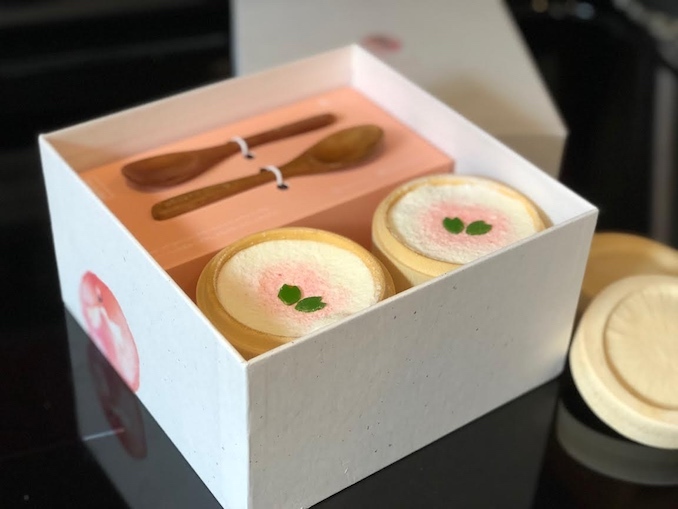 This gorgeous dessert makes for a lovely gift as it’s sold as two in a gift box and comes with wooden spoons. But here’s the catch, it’s only available for two days because of the highly cherished peaches. Gift sets only available on July 21 & 22 and limited one gift set per person. 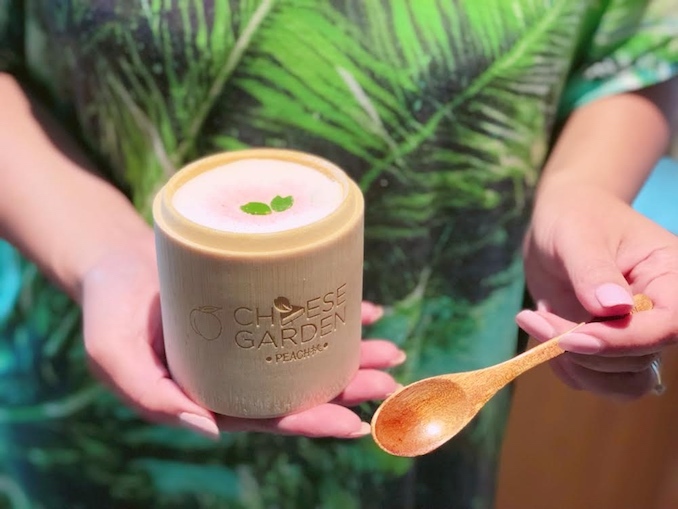 Cheese Garden North York (5291 Yonge Street) location will have 50 sets available per day. Cheese Garden Midland & Finch ( 3250 Midland Ave.) will have 30 sets per day. Cheese Garden Pacific Mall (4300 Midland Ave East) will have 30 sets per day.